Out and about yesterday we made a stop at The Greensmith Garden Center in Hinckley, Ohio. 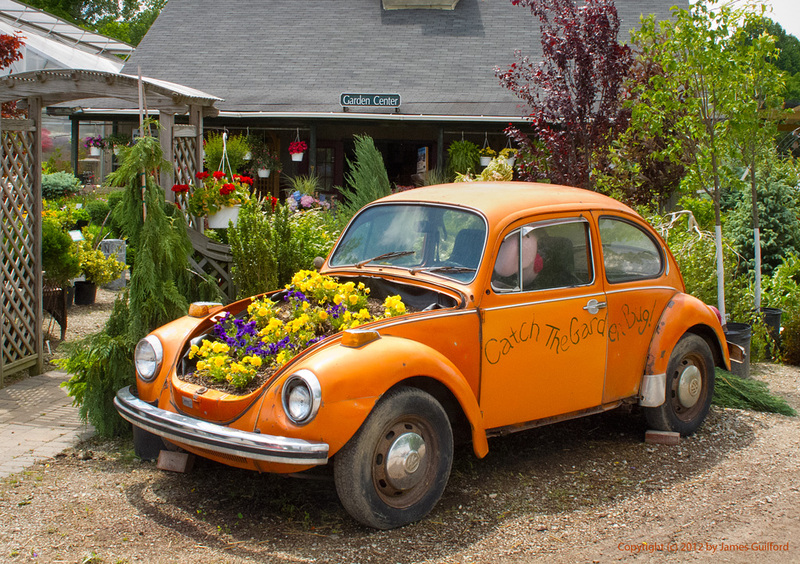 Greeting visitors to their place is a very unusual flower planter — a Volkswagen Beetle, its boot filled with earth and posies! It might be fun to drive such a vehicle around but the same use has been put to the car’s engine compartment (in the rear) — dirt and daisies. Well, not really daisies but the alliteration was too choice! Oh that is so cute.